How Do We Terraform Venus? Continuing with our “Definitive Guide to Terraforming“, Universe Today is happy to present to our guide to terraforming Venus. It might be possible to do this someday, when our technology advances far enough. But the challenges are numerous and quite specific. The planet Venus is often referred to as Earth’s “Sister Planet”, and rightly so. In addition to being almost the same size, Venus and Earth are similar in mass and have very similar compositions (both being terrestrial planets). As a neighboring planet to Earth, Venus also orbits the Sun within its “Goldilocks Zone” (aka. habitable zone). But of course, there are many key difference between the planets that make Venus uninhabitable. For starters, it’s atmosphere over 90 times thicker than Earth’s, its average surface temperature is hot enough to melt lead, and the air is a toxic fume consisting of carbon dioxide and sulfuric acid. As such, if humans want to live there, some serious ecological engineering – aka. terraforming – is needed first. And given its similarities to Earth, many scientists think Venus would be a prime candidate for terraforming, even more so than Mars! Over the past century, the concept of terraforming Venus has appeared multiple times, both in terms of science fiction and as the subject of scholarly study. Whereas treatments of the subject were largely fantastical in the early 20th century, a transition occurred with the beginning of the Space Age. As our knowledge of Venus improved, so too did the proposals for altering the landscape to be more suitable for human habitation. Since the early 20th century, the idea of ecologically transforming Venus has been explored in fiction. The earliest known example is Olaf Stapleton’s Last And First Men (1930), two chapters of which are dedicated to describing how humanity’s descendants terraform Venus after Earth becomes uninhabitable; and in the process, commit genocide against the native aquatic life. By the 1950s and 60s, owing to the beginning of the Space Age, terraforming began to appear in many works of science fiction. Poul Anderson also wrote extensively about terraforming in the 1950s. In his 1954 novel, The Big Rain, Venus is altered through planetary engineering techniques over a very long period of time. The book was so influential that the term term “Big Rain” has since come to be synonymous with the terraforming of Venus. In 1991, author G. David Nordley suggested in his short story (“The Snows of Venus”) that Venus might be spun-up to a day-length of 30 Earth days by exporting its atmosphere of Venus via mass drivers. Author Kim Stanley Robinson became famous for his realistic depiction of terraforming in the Mars Trilogy – which included Red Mars, Green Mars and Blue Mars. In 2012, he followed this series up with the release of 2312, a science fiction novel that dealt with the colonization of the entire Solar System – which includes Venus. 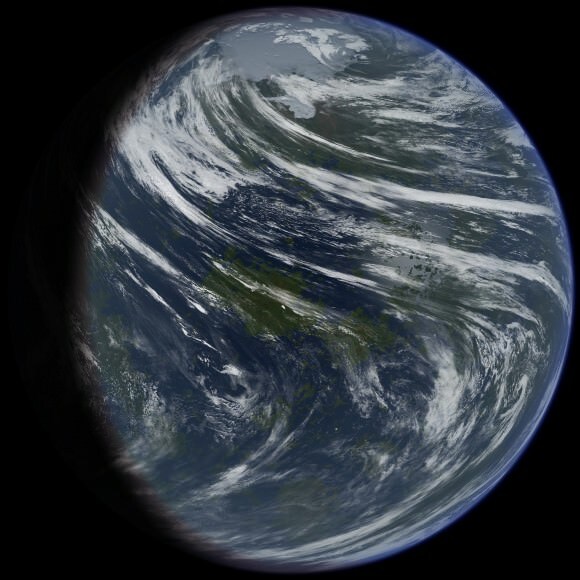 The novel also explored the many ways in which Venus could be terraformed, ranging from global cooling to carbon sequestration, all of which were based on scholarly studies and proposals. The first proposed method of terraforming Venus was made in 1961 by Carl Sagan. In a paper titled “The Planet Venus“, he argued for the use of genetically engineered bacteria to transform the carbon in the atmosphere into organic molecules. However, this was rendered impractical due to the subsequent discovery of sulfuric acid in Venus’ clouds and the effects of solar wind. In his 1991 study “Terraforming Venus Quickly“, British scientist Paul Birch proposed bombarding Venus’ atmosphere with hydrogen. The resulting reaction would produce graphite and water, the latter of which would fall to the surface and cover roughly 80% of the surface in oceans. Given the amount of hydrogen needed, it would have to harvested directly from one of the gas giant’s or their moon’s ice. The proposal would also require iron aerosol to be added to the atmosphere, which could be derived from a number of sources (i.e. the Moon, asteroids, Mercury). The remaining atmosphere, estimated to be around 3 bars (three times that of Earth), would mainly be composed of nitrogen, some of which will dissolve into the new oceans, reducing atmospheric pressure further. Another idea is to bombard Venus with refined magnesium and calcium, which would sequester carbon in the form of calcium and magnesium carbonates. In their 1996 paper, “The stability of climate on Venus“, Mark Bullock and David H. Grinspoon of the University of Colorado at Boulder indicated that Venus’ own deposits of calcium and magnesium oxides could be used for this process. Through mining, these minerals could be exposed to the surface, thus acting as carbon sinks. 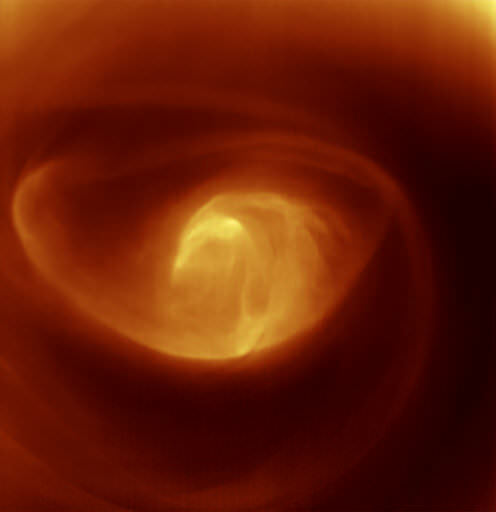 A mass of swirling gas and cloud at Venus’ south pole. Credit: ESA/VIRTIS/INAF-IASF/Obs. de Paris-LESIA/Univ. Oxford. However, Bullock and Grinspoon also claim this would have a limited cooling effect – to about 400 K (126.85 °C; 260.33 °F) and would only reduce the atmospheric pressure to an estimated 43 bars. Hence, additional supplies of calcium and magnesium would be needed to achieve the 8×1020 kg of calcium or 5×1020 kg of magnesium required, which would most likely have to be mined from asteroids. The concept of solar shades has also been explored, which would involve using either a series of small spacecraft or a single large lens to divert sunlight from a planet’s surface, thus reducing global temperatures. For Venus, which absorbs twice as much sunlight as Earth, solar radiation is believed to have played a major role in the runaway greenhouse effect that has made it what it is today. Such a shade could be space-based, located in the Sun–Venus L1 Lagrangian point, where it would prevent some sunlight from reaching Venus. In addition, this shade would also serve to block the solar wind, thus reducing the amount of radiation Venus’ surface is exposed to (another key issue when it comes to habitability). This cooling would result in the liquefaction or freezing of atmospheric CO², which would then be depsotied on the surface as dry ice (which could be shipped off-world or sequestered underground). Alternately, solar reflectors could be placed in the atmosphere or on the surface. This could consist of large reflective balloons, sheets of carbon nanotubes or graphene, or low-albedo material. The former possibility offers two advantages: for one, atmospheric reflectors could be built in-situ, using locally-sourced carbon. Second, Venus’ atmosphere is dense enough that such structures could easily float atop the clouds. NASA scientist Geoffrey A. Landis has also proposed that cities could be built above Venus’ clouds, which in turn could act as both a solar shield and as processing stations. These would provide initial living spaces for colonists, and would act as terraformers, gradually converting Venus’ atmosphere into something livable so the colonists could migrate to the surface. Another suggestion has to do with Venus’ rotational speed. Venus rotates once every 243 days, which is by far the slowest rotation period of any of the major planets. As such, Venus’s experiences extremely long days and nights, which could prove difficult for most known Earth species of plants and animals to adapt to. The slow rotation also probably accounts for the lack of a significant magnetic field. To address this, British Interplanetary Society member Paul Birch suggested creating a system of orbital solar mirrors near the L1 Lagrange point between Venus and the Sun. Combined with a soletta mirror in polar orbit, these would provide a 24-hour light cycle. It has also been suggested that Venus’ rotational velocity could be spun-up by either striking the surface with impactors or conducting close fly-bys using bodies larger than 96.5 km (60 miles) in diameter. There is also the suggestion of using using mass drivers and dynamic compression members to generate the rotational force needed to speed Venus up to the point where it experienced a day-night cycle identical to Earth’s (see above). Then there’s the possibility of removing some of Venus’ atmosphere, which could accomplished in a number of ways. For starters, impactors directed at the surface would blow some of the atmosphere off into space. Other methods include space elevators and mass accelerators (ideally placed on balloons or platforms above the clouds), which could gradually scoop gas from the atmosphere and eject it into space. One of the main reasons for colonizing Venus, and altering its climate for human settlement, is the prospect of creating a “backup location” for humanity. And given the range of choices – Mars, the Moon, and the Outer Solar System – Venus has several things going for it the others do not. All of these highlight why Venus is known as Earth’s “Sister Planet”. For starters, Venus is a terrestrial planet that is similar in size, mass and composition to Earth. This is why Venus has similar gravity to Earth, which is about of what we experience 90% (or 0.904 g, to be exact. As a result, humans living on Venus would be at a far lower risk of developing health problems associated with time spent in weightlessness and microgravity environments – such as osteoporosis and muscle degeneration. Venus’s relative proximity to Earth would also make transportation and communications easier than with most other locations in the solar system. With current propulsion systems, launch windows to Venus occur every 584 days, compared to the 780 days for Mars. Flight time is also somewhat shorter since Venus is the closest planet to Earth. At it’s closest approach, it is 40 million km distant, compared to 55 million km for Mars. Another reason has to do with Venus’ runaway greenhouse effect, which is the reason for the planet’s extreme heat and atmospheric density. In testing out various ecological engineering techniques, our scientists would learn a great deal about their effectiveness. This information, in turn, will come in mighty handy in the ongoing fight against Climate Change here on Earth. And in the coming decades, this fight is likely to become rather intense. As the NOAA reported in March of 2015, carbon dioxide levels in the atmosphere have now surpassed 400 ppm, a level not seen since the the Pliocene Era – when global temperatures and sea level were significantly higher. And as a series of scenarios computed by NASA show, this trend is likely to continue until 2100, with severe consequences. In one scenario, carbon dioxide emissions will level off at about 550 ppm toward the end of the century, resulting in an average temperature increase of 2.5 °C (4.5 °F). In the second scenario, carbon dioxide emissions rise to about 800 ppm, resulting in an average increase of about 4.5 °C (8 °F). Whereas the increases predicted in the first scenario are sustainable, in the latter scenario, life will become untenable on many parts of the planet. So in addition to creating a second home for humanity, terraforming Venus could also help to ensure that Earth remains a viable home for our species. And of course, the fact that Venus is a terrestrial planet means that it has abundant natural resources that could be harvested, helping humanity to achieve a “post-scarcity” economy. Artist’s concept of the High Altitude Venus Operational Concept (HAVOC) mission approaching the planet. Credit: NASA Langley Research Center/YouTube. Beyond the similarities Venus’ has with Earth (i.e. size, mass and composition), there are numerous differences that would make terraforming and colonizing it a major challenge. For one, reducing the heat and pressure of Venus’ atmosphere would require a tremendous amount of energy and resources. It would also require infrastructure that does not yet exist and would be very expensive to build. For instance, it would require immense amounts of metal and advanced materials to build an orbital shade large enough to cool Venus’ atmosphere to the point that its greenhouse effect would be arrested. Such a structure, if positioned at L1, would also need to be four times the diameter of Venus itself. It would have to be assembled in space, which would require a massive fleet of robot assemblers. In contrast, increasing the speed of Venus’s rotation would require tremendous energy, not to mention a significant number of impactors that would have to cone from the outer solar System – mainly from the Kuiper Belt. In all of these cases, a large fleet of spaceships would be needed to haul the necessary material, and they would need to be equipped with advanced drive systems that could make the trip in a reasonable amount of time. Currently, no such drive systems exist, and conventional methods – ranging from ion engines to chemical propellants – are neither fast or economical enough. To illustrate, NASA’s New Horizons mission took more than 11 years to get make its historic rendezvous with Pluto in the Kuiper Belt, using conventional rockets and the gravity-assist method. Meanwhile, the Dawn mission, which relied relied on ionic propulsion, took almost four years to reach Vesta in the Asteroid Belt. Neither method is practical for making repeated trips to the Kuiper Belt and hauling back icy comets and asteroids, and humanity has nowhere near the number of ships we would need to do this. The same problem of resources holds true for the concept of placing solar reflectors above the clouds. The amount of material would have to be large and would have to remain in place long after the atmosphere had been modified, since Venus’s surface is currently completely enshrouded by clouds. Also, Venus already has highly reflective clouds, so any approach would have to significantly surpass its current albedo (0.65) to make a difference. And when it comes to removing Venus’ atmosphere, things are equally challenging. In 1994, James B. Pollack and Carl Sagan conducted calculations that indicated that an impactor measuring 700 km in diameter striking Venus at high velocity would less than a thousandth of the total atmosphere. What’s more, there would be diminishing returns as the atmosphere’s density decreases, which means thousands of giant impactors would be needed. In addition, most of the ejected atmosphere would go into solar orbit near Venus, and – without further intervention – could be captured by Venus’s gravitational field and become part of the atmosphere once again. Removing atmospheric gas using space elevators would be difficult because the planet’s geostationary orbit lies an impractical distance above the surface, where removing using mass accelerators would be time-consuming and very expensive. 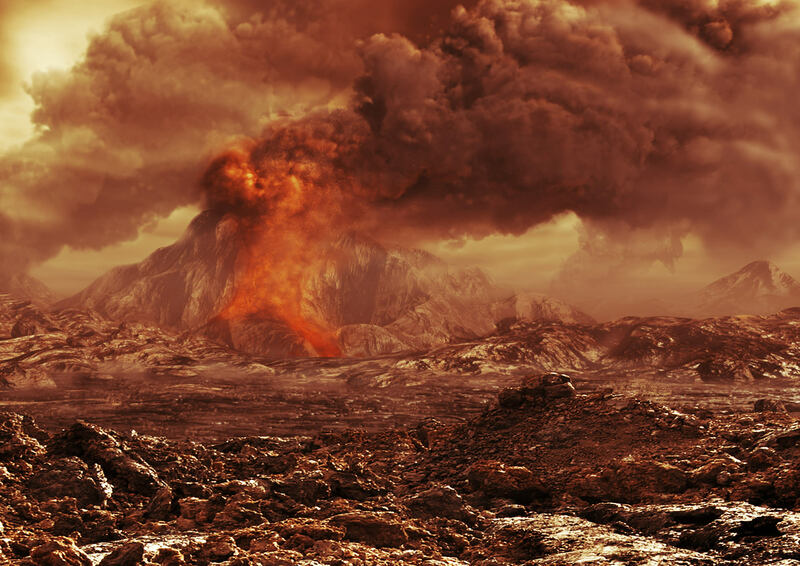 In sum, the potential benefits of terraforming Venus are clear. Humanity would have a second home, we would be able to add its resources to our own, and we would learn valuable techniques that could help prevent cataclysmic change here on Earth. However, getting to the point where those benefits could be realized is the hard part. Like most proposed terraforming ventures, many obstacles need to be addressed beforehand. Foremost among these are transportation and logistics, mobilizing a massive fleet of robot workers and hauling craft to harness the necessary resources. After that, a multi-generational commitment would need to be made, providing financial resources to see the job through to completion. Not an easy task under the most ideal of conditions. Suffice it to say, this is something that humanity cannot do in the short-run. However, looking to the future, the idea of Venus becoming our “Sister Planet” in every way imaginable – with oceans, arable land, wildlife and cities – certainly seems like a beautiful and feasible goal. The only question is, how long will we have to wait? We have written many interesting articles about terraforming here at Universe Today. Here’s The Definitive Guide To Terraforming, Could We Terraform the Moon?, Should We Terraform Mars?, How Do We Terraform Mars? and Student Team Wants to Terraform Mars Using Cyanobacteria. We’ve also got articles that explore the more radical side of terraforming, like Could We Terraform Jupiter?, Could We Terraform The Sun?, and Could We Terraform A Black Hole? For more information, check out Terraforming Mars at NASA Quest! and NASA’s Journey to Mars. And if you liked the video posted above, come check out our Patreon page and find out how you can get these videos early while helping us bring you more great content!